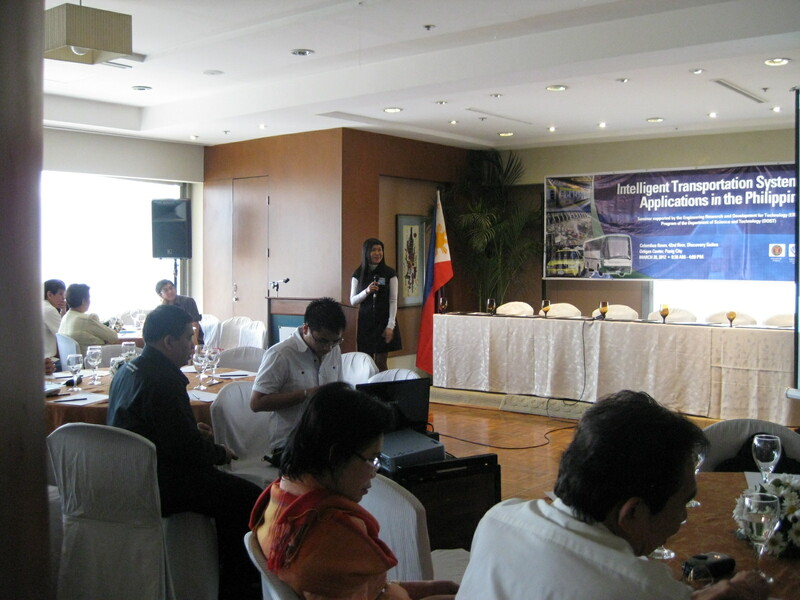 The Seminar on Intelligent Transport Systems (ITS) Applications in the Philippines was held last March 28, 2012 at the Columbus Room of the Discovery Suites in Ortigas Center, Metro Manila. 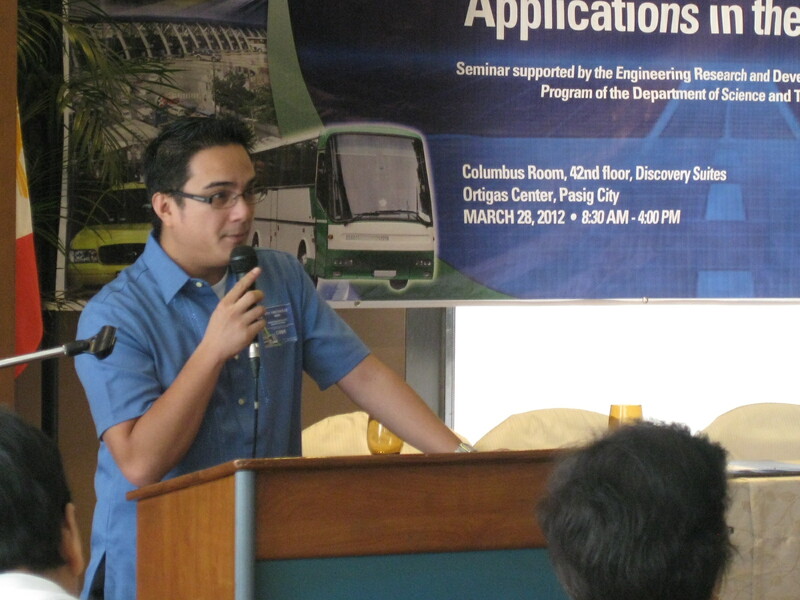 The seminar was organized by the Institute of Civil Engineering (ICE) and the National Center for Transportation Studies (NCTS) of the University of the Philippines Diliman and was supported by the Engineering Research and Development for Technology (ERDT) Program of the Department of Science and Technology (DOST). 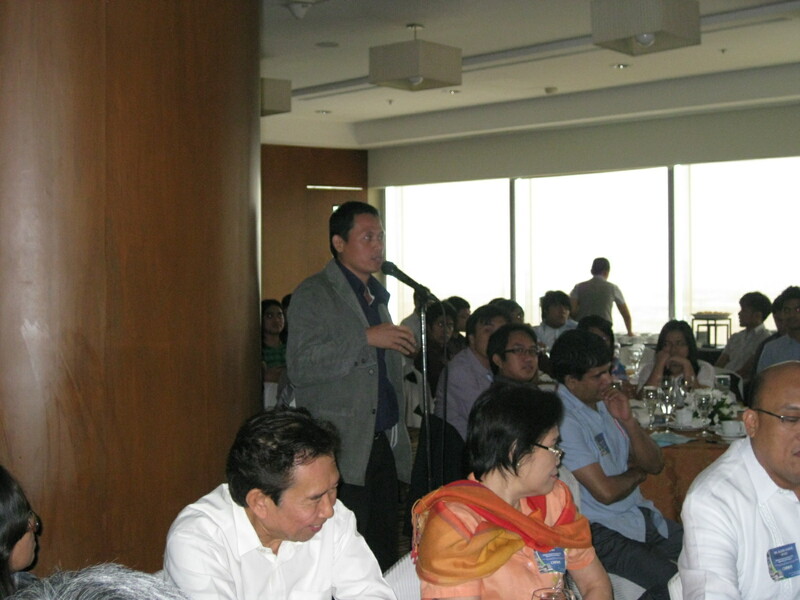 The main objective of the seminar was to bring together the academe, government agencies and industry to discuss the state of ITS in the country. The seminar was a venue for presentations and discussions where persons interested in ITS could interact with one another, hopefully forging future partnerships to promote ITS in the country. Registration desk – participants from the ERDT universities attended the seminar including Ateneo De Manila University, Central Luzon State University, De La Salle University, Mapua Institute of Technology, Mindanao State University – Iligan Institute of Technology, and UP Diliman and UP Los Banos. 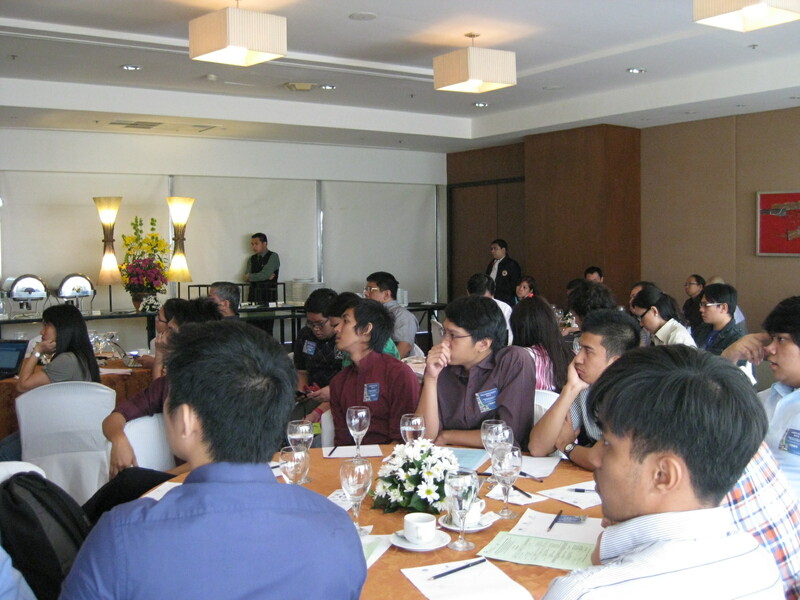 Also in attendance were representatives of the Far Eastern University and the Polytechnic University of the Philippines. 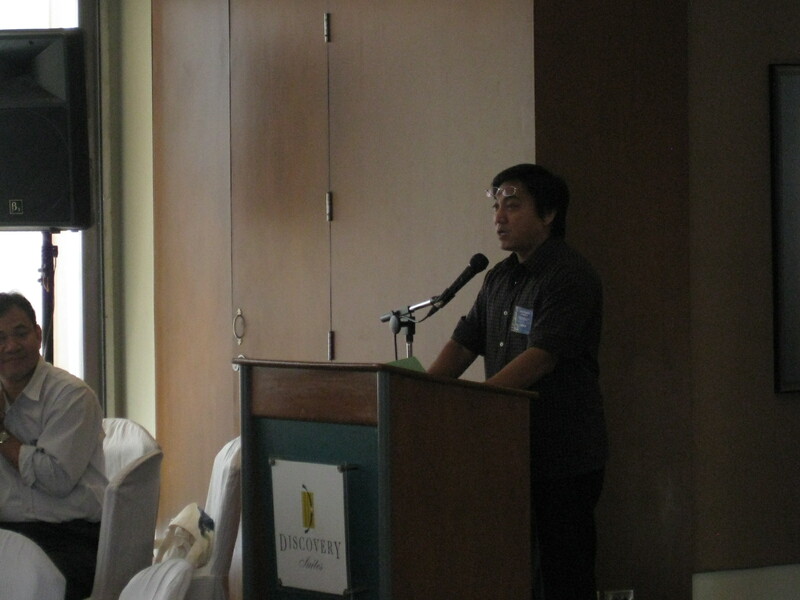 Master of ceremonies – Dr. Sean Palmiano of the ICE welcomed participants to the seminar. He is also a Fellow at the NCTS and part of its Road Safety Research Laboratory. Opening Remarks – Dr. Alexis Acacio, ICE Director, opened the seminar, enjoining everyone to participate in the discussions and wishing a fruitful day. 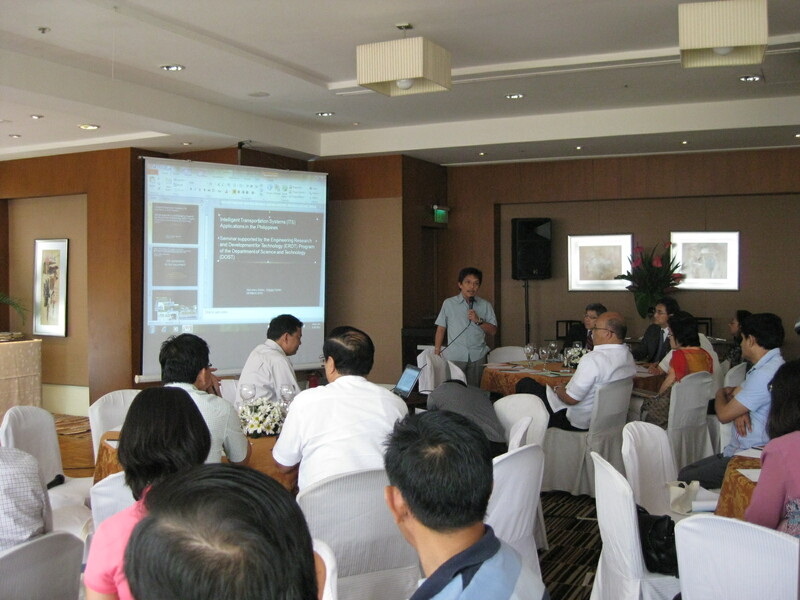 Keynote presentation – Dr. Ricardo Sigua, Professor at the ICE and also a NCTS Fellow delivered a presentation entitled “State of ITS in the Philippines.” It provided an excellent intro about current applications of ITS in the country. 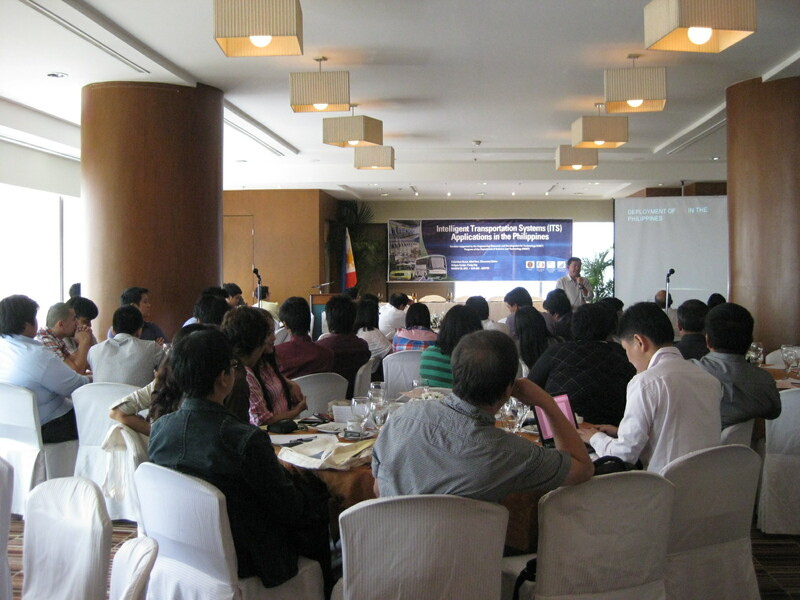 Full house – the seminar was well-attended with, in addition to the universities and DOST, participants from the DOTC, DPWH, MMDA and LTFRB, and the private sector particularly the MNTC. Next generation – it was delightful to see a lot of younger people attending the seminar. 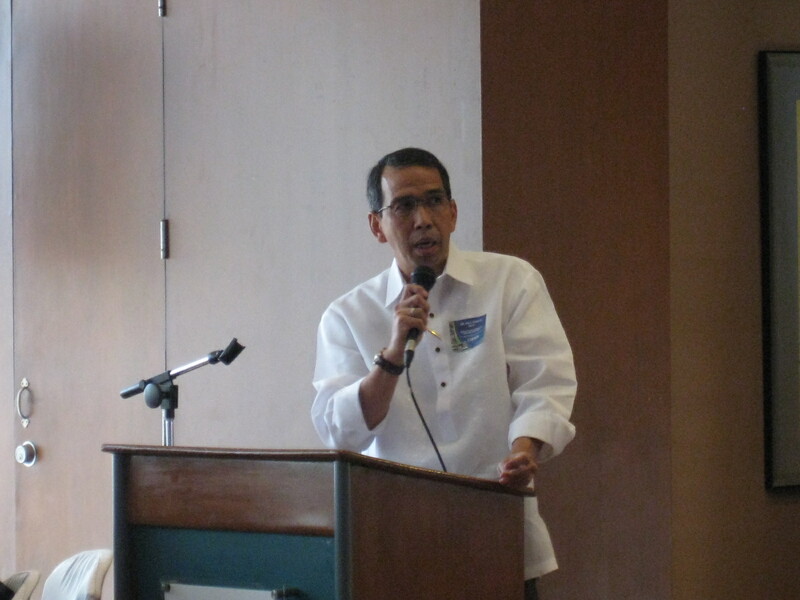 In fact, participants from the universities did not come solely from the Civil Engineering programs but included those in Electrical and Electronics Engineering, Mechanical Engineering and Computer Science. 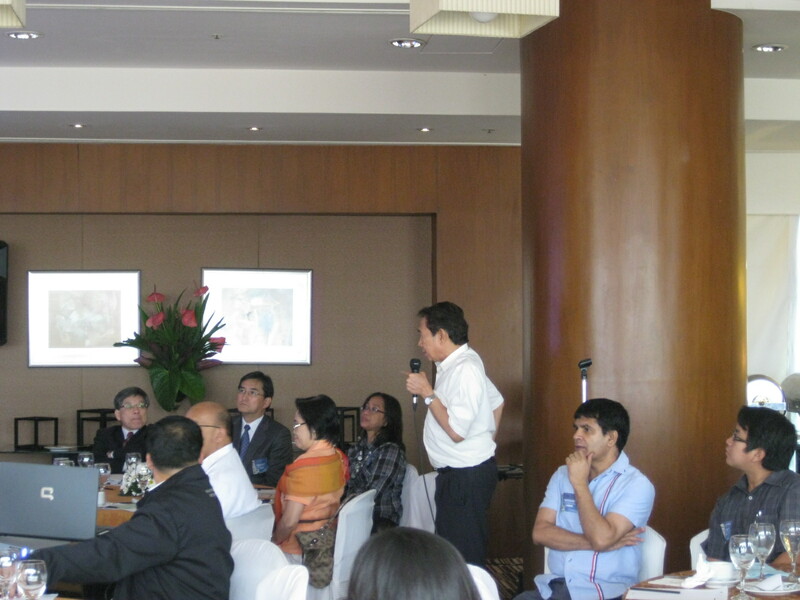 Open forum – Dr. Tho Lidasan of UP’s School of Urban and Regional Planning commenting on the presentation by Dr. Sigua. 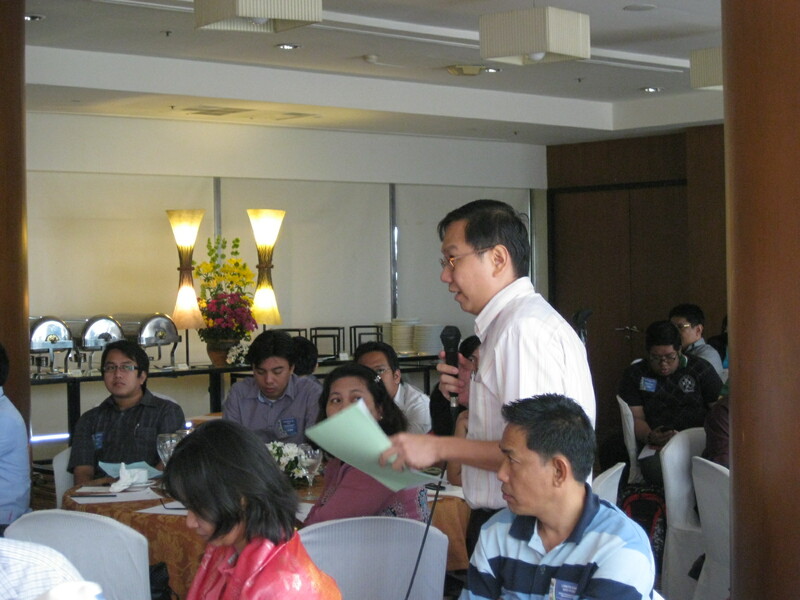 Open forum – Dr. Kardi Teknomo of Ateneo’s Computer Science also makes a point during the open forum. Electronic Toll Collection – Engr. Raul Ignacio, Manila North Tollways Corporation Vice President presents on ITS applications in the tollways including issues regarding interoperability. Currently, tollways offering ETC have incompatible systems. 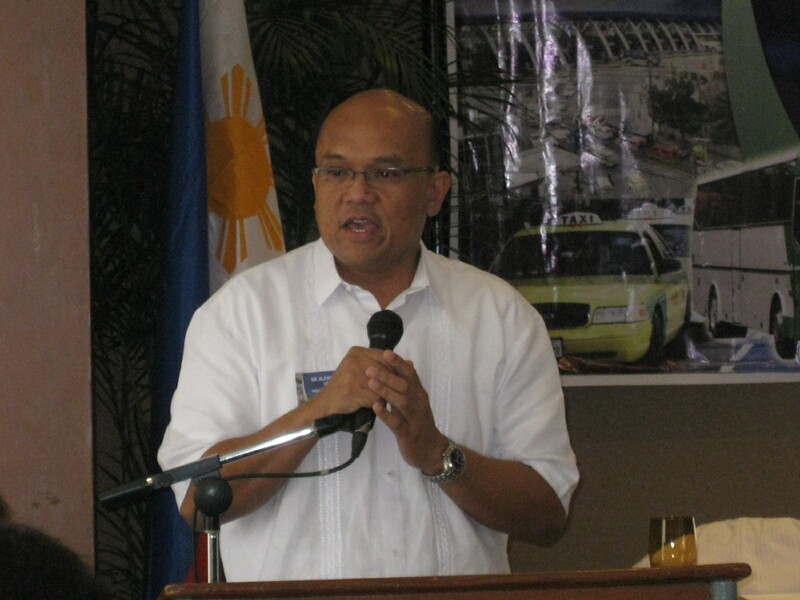 Q&A – former DPWH Usec. Ted Encarnacion making a comment on the MNTC presentation. 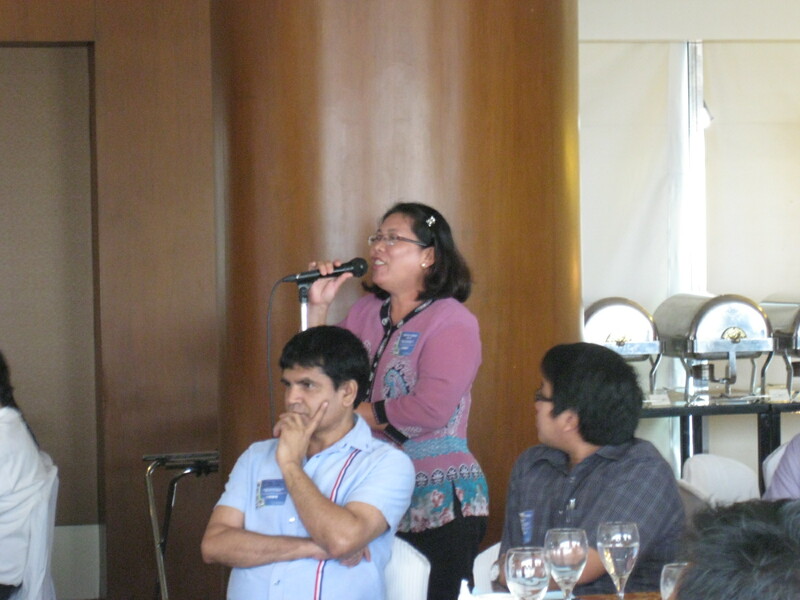 Q&A – Prof. Neneng Trinidad of the MSU-IIT asks a question about MNTC’s system. Traveler Information Systems – Atty. 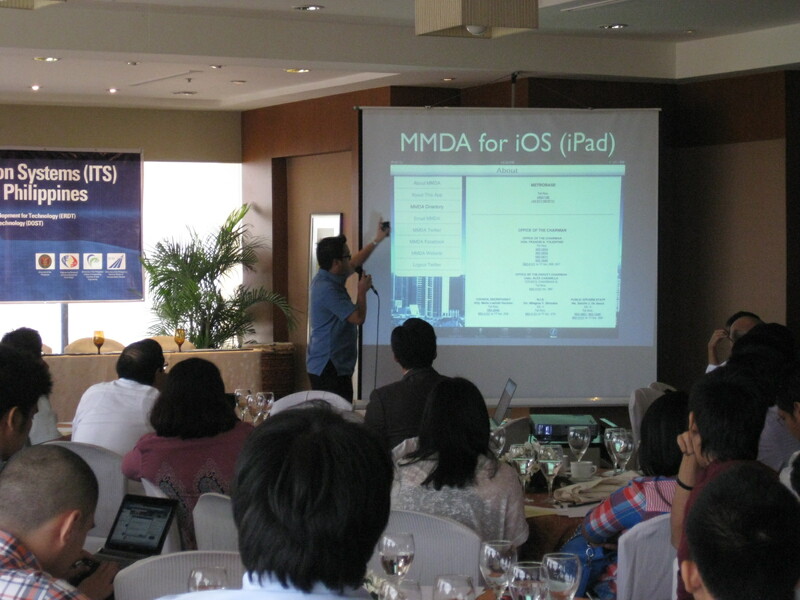 Yves Gonzalez, Director of the MMDA’s Traffic Discipline Office, presents on the agency’s Traffic Navigator system. Live demonstration – Atty. Gonzalez even made a live demonstration of how the Navigator works and how the MMDA could monitor and manage traffic using these tools. The presentation impressed the audience and this reflected in the lively Q&A after his presentation. 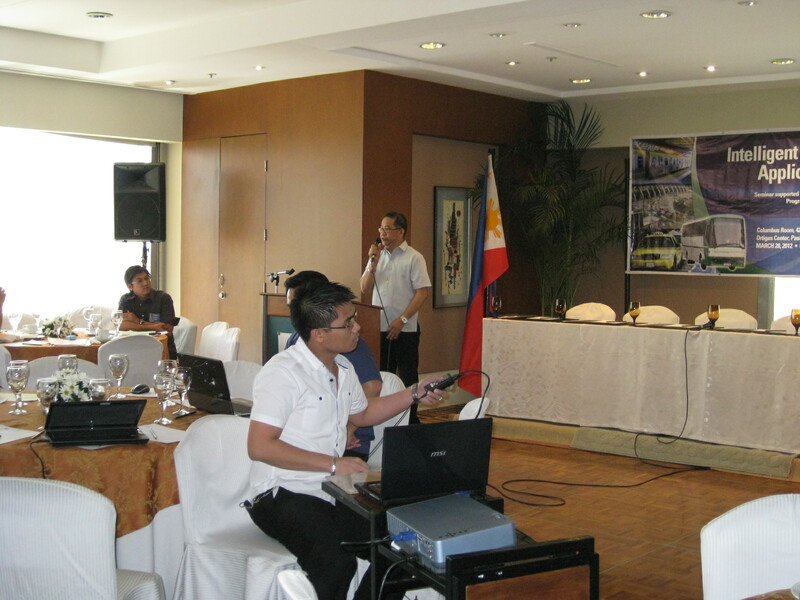 Q&A – Prof. Marloe Sundo of UPLB inquiring about the effectiveness of the MMDA’s Traffic Navigator. 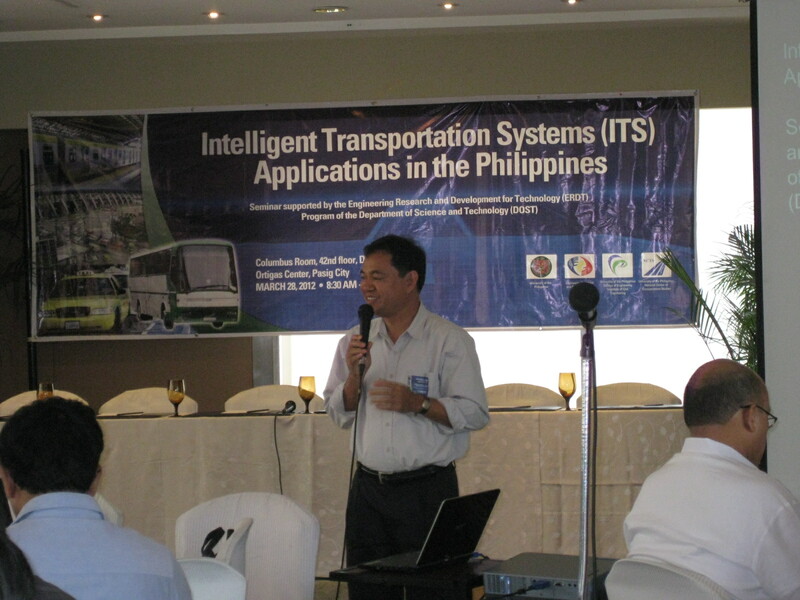 Smart traffic control – Mr. Abratique presents on smart traffic signals including the experience in Davao City. Modern traffic signal control may be found in only a few cities in the country including Cebu, which employs an old version of the SCATS system. 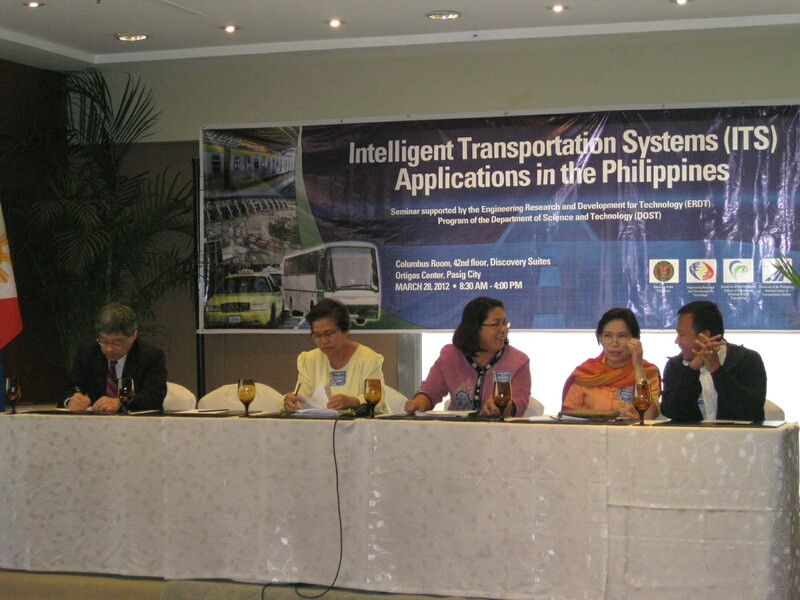 i-Bus – Ms. Elma Arboleras presents her invention that is intended to improve public transport operations, which won an award in London in 2011. ITS in Japan and Asia Pacific – the afternoon session started with a presentation from ITS Japan. 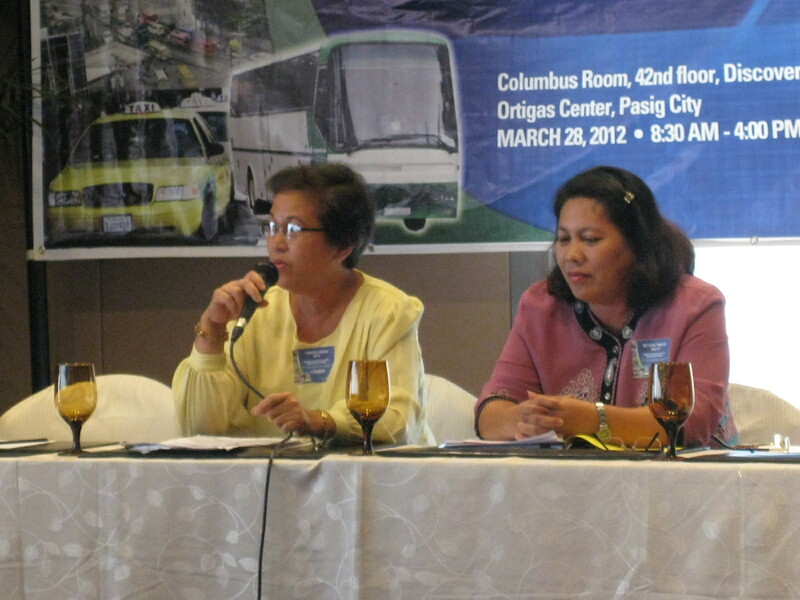 Panel discussion – the panel consisted of Ms. Cora Japson of the Road Transport Planning Division of the DOTC, Prof. Metodia Trinidad of MSU-IIT, Engr. 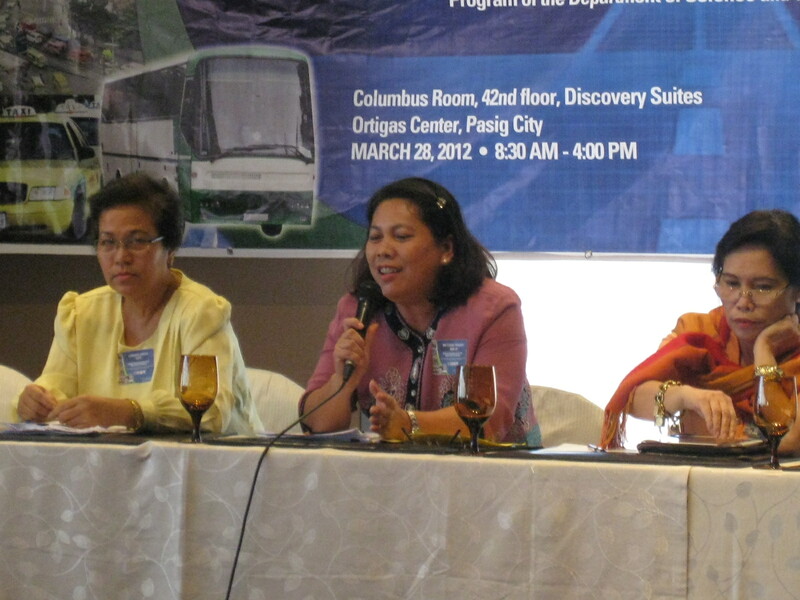 Becky Garsuta of the DPWH’s PPP Office, and Engr. Glenn Campos of the MNTC. Reactions and remarks – DOTC’s Cora Japson providing a reaction to the question regarding what ITS are needed in the country. Reactions and remarks – Engr. 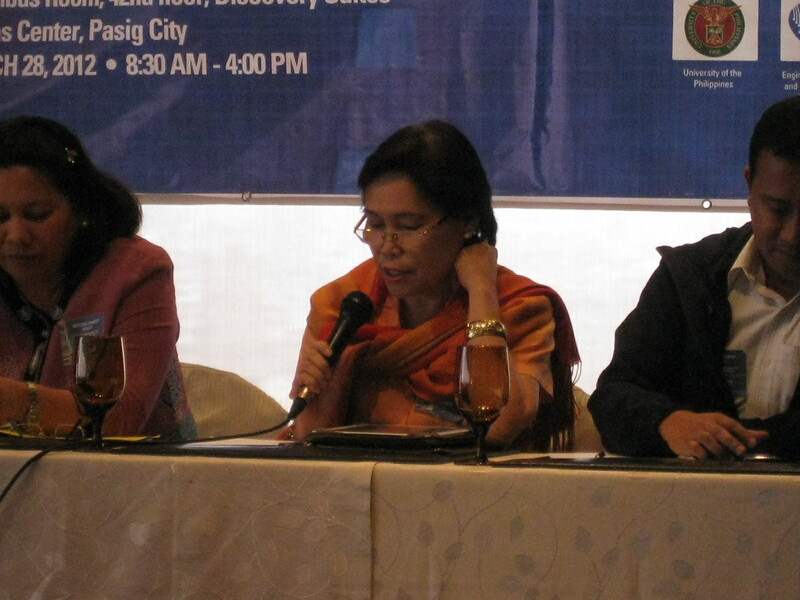 Garsuta relating DPWH initiatives and what she thinks are systems applicable in the local setting. 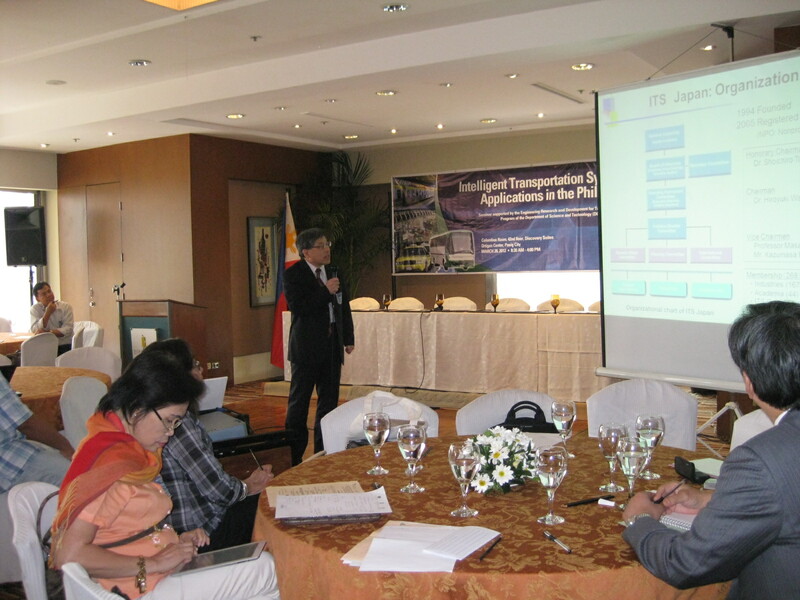 Incidentally, the DPWH just recently received technical assistance from JICA for ITS. 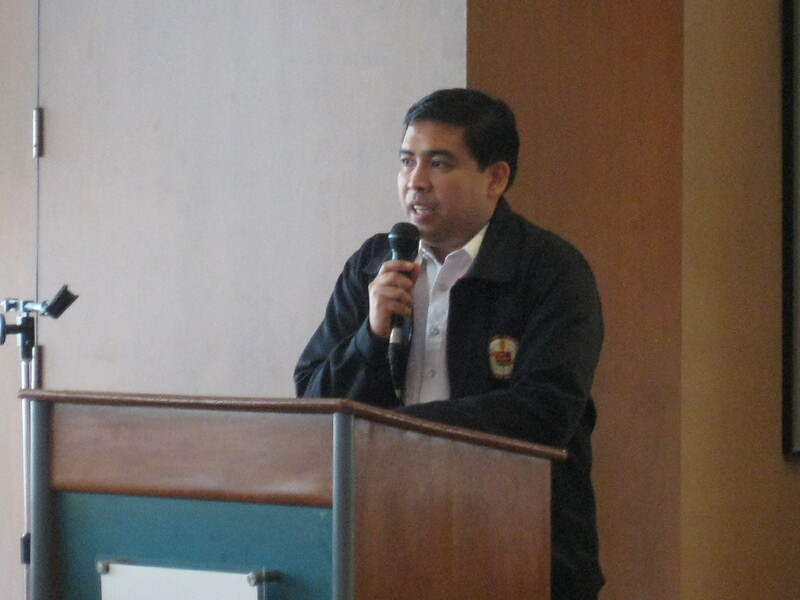 Conclusion – Dr. Regin Regidor, NCTS Director, delivered the concluding remarks on behalf of the UP Diliman Chancellor. 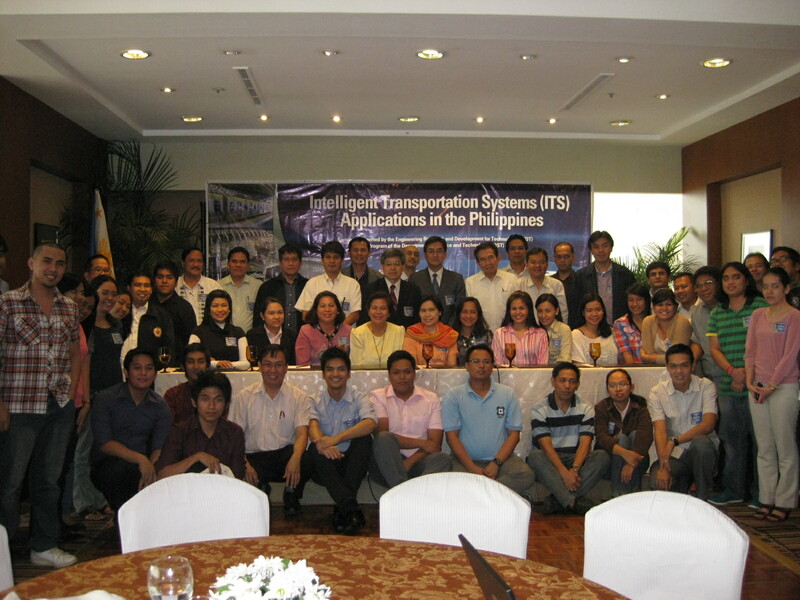 Group photo – participants to the Seminar on ITS Applications in the Philippines pose for a group photo.